Telling your grand kids about how you drunk text your boss during a vacation about quitting your job and realizing it the next day is certainly something. 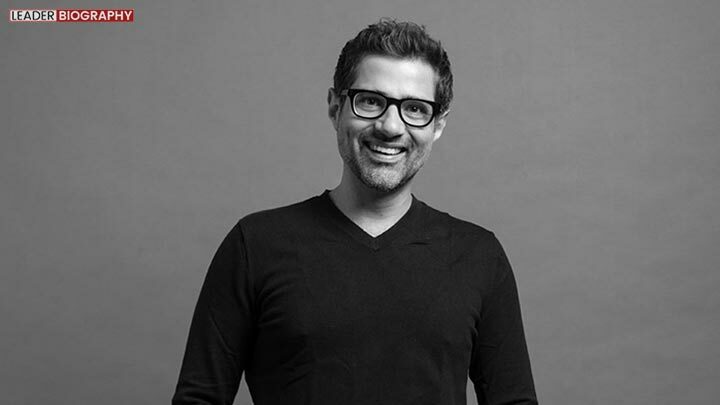 Ashish Hemrajani, the founder and CEO of Bigtree Entertainment Pvt. Ltd. is the guy who actually did that. Working at JWT, he was in need of a break and planned a trip to South Africa and Botswana, in 1999. On his road trip, he got a chance to be a part of a wine tasting session, and what better than free alcohol while backpacking. It was only a matter of time and he was smashed out of his senses. Alcohol had done its trick, and it was time to make history. Ashish Hemrajani took out his phone and texted his boss that he was quitting. It was only the next day when the aftereffects of wine had bid him adieu that he realized he was now jobless. While on the trip in South Africa, he learned people could book tickets on the radio. This made him realize that the same model could be implemented back in his home country. It was this idea that gave birth to Ashish Hemrajani’s company, Bookmyshow. Looking at the condition of Indian ticketing system back in 2000s, it needed serious overhauling, and Hemrajani entered the arena with the right idea at the right time. The long queues with people waiting to retrieve a ticket from pigeon holes was certainly not going to be missed if the system was automated. The implementation of his idea began with coming back to Mumbai and speaking to a couple of investors. Ashish Hemrajani’s Bookmyshow received its first funding of Rs 2 crore from Chase after he sent them a fax. It was in 1999, the year of its foundation that Bookmyshow got the maximum number of calls for ticket booking than any online booking platforms. Looking closely, the actual cash on delivery system was first implemented by the company. With the dotcom boom, the company grew and the team strength rose to 150 after two funding form Newscorp in 2001. However, the fall of dotcom in 2002 left only a team of six working from a house in Bandra. The strong headed man spearheaded his company’s growth after falling down. Today, the company is undoubtedly the most successful and the first choice of millions when it comes to reliable booking solutions for movies, theater, plays and more.